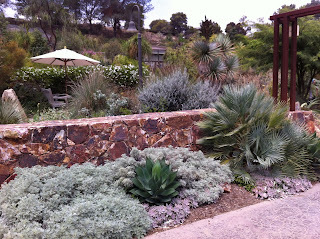 Sandy soils, dry winters—we're not in Palo Alto any more! 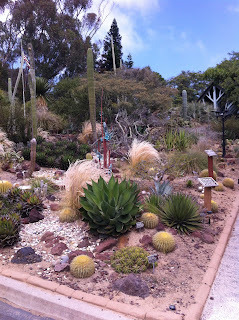 This week I was down at the San Diego Botanic Garden, where the differences between the Encinitas climate and the Palo Alto one I live in were on full display. For landscape designers like me who grew up reading the Sunset Western Garden Book, the concept of climate zones is second nature. But for plenty of other folks, it's about as foreign as, well, another land. 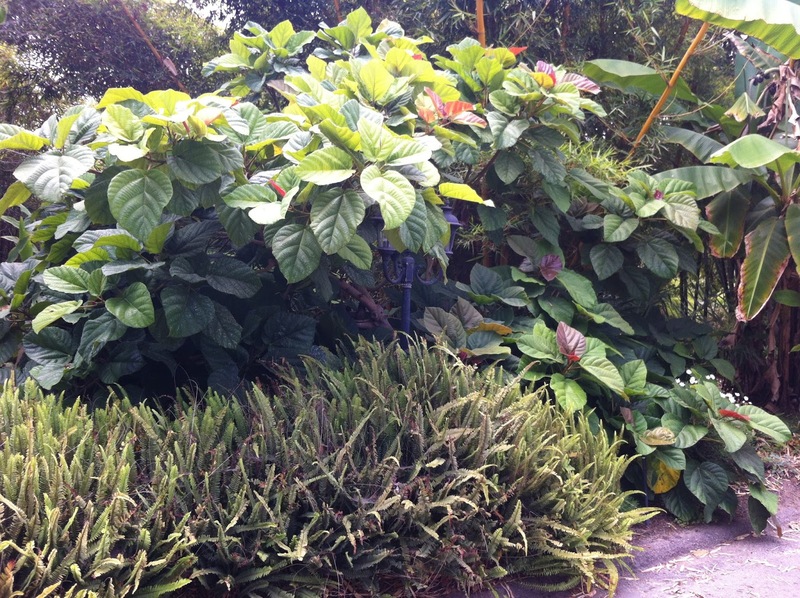 Horticulturally speaking, a climate zone is simply an area where the growing conditions are consistently unique from any other area. Back in 1960, the U.S. Department of Agriculture defined 10 "plant hardiness zones" throughout the country, based mainly on winter low temperatures to help growers understand where crops would, and would not, survive the winter. Over time those definitions have been refined and the zones subdivided, and today there are 26 USDA zones. You can see a map online here. Here in the West, Sunset Magazine took the idea a step further, defining "Sunset climate zones" that take into account not only winter low temperatures but also summer highs, wind, rainfall, humidity, elevation, latitude and ocean influence. The result is a finely detailed picture of where plants will not only survive, but thrive. From its original 13 zones in the western states, Sunset now has identified more than 50 unique climate zones throughout the U.S. and Canada. These climate maps have become indispensable tools for garden designers, landscape architects, builders, and of course homeowners. Plant growers, who want gardeners to have success with their products, routinely label their plants with the USDA and/or Sunset zones those plants are best suited to. But why do zones matter, anyway? Because — whether for a budding home gardeners or a professional landscape architect — the first rule of planting design is "right plant, right place." So if you're designing a garden in San Diego, you can know that here in Sunset Zone 24, winters just won't get cold enough for most cherry trees to bear fruit. On the other hand, if you're designing for Palo Alto, you can assume that the Agave attenuata that thrives down here in the mild coastal desert will turn to mush during our freezing Zone 15 winters. Sure, plenty of people are in what I call "zonal denial" — gardening on the edge of reality, insistently planting frost-tender plants in cold-winter areas (and high-water turf grass in what's really a desert). They may skirt outright failure enough to be emboldened in their efforts, but their gardens aren't really thriving. And plants draped with flannel sheets and holiday lights probably aren't the curb appeal most people want. So don't live in that state called denial. Know your zone and plant accordingly. Your garden, and your neighbors, will thank you!